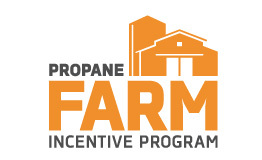 You can save on new propane-powered ag equipment, through the Propane Education & Research Council’s Propane Farm Incentive Program (PFIP). The Propane Education and Research Council will give you up to $5,000, just for helping them prove the benefits of clean, American propane in the field. You’ll find a list of available equipment, and the steps in the PFIP application process, click below.